Jumping: Gymnastics; “skinny” jumps; turns; distances; and more. 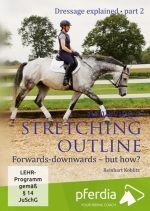 If one were to conjure up an image of an athletic, forward moving and motivated dressage horse and accept the German FN guidelines as the basis for training horses correctly, only one name would immediately come to mind – Ingrid Klimke. 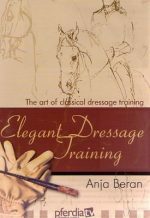 She learned how to ride correctly from the absolute basics right through to the highest technical level and continues in this vein today – single-mindedly, passionately and with the utmost success in all the three disciplines of dressage, eventing and showing jumping. 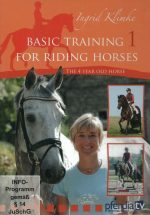 Those who learn from her can be certain of being on the right track. 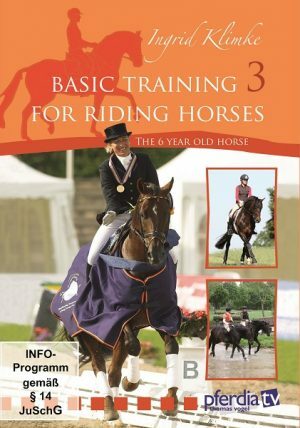 In these three training DVDs, the Olympic champion shares her key ideas for the successful training of horses. 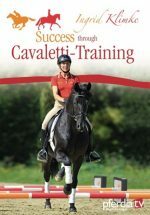 The main components of the training include dressage exercises to improve suppleness and collection, pole work (cavaletti), first jumps and training for cross-country. 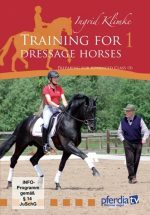 Ingrid Klimke is ably supported in dressage training by the late Major Paul Stecken.